Sig Sauer has always been known for making quality firearms and the highly anticipated release of the new “stack and a half” Sig P365 carry gun did not disappoint. After about a month of waiting for the gun to arrive, we finally got our hands on the firearm and went to the range to shoot it. To say the least, we were impressed. 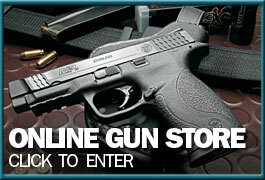 The first thing you think when you put the P365 in your hands is, “How is it possible that this gun holds 10 rounds?”. That quality is by far the most impressive characteristic of this pistol. As far as everything else, it is just what you would expect from a Sig Sauer product. Comfortable grip, clean trigger pull and firm positive reset, quality night sights (same sights they put on the Legion series), smooth slide, and easy to use controls. There aren’t a ton of bells and whistles on this gun, and I think that is exactly what Sig was aiming for, no pun intended. We put 400 rounds through this pistol without any feeding or extracting issues over the course of about an hour and a half. It is not overly snappy and handles a 9mm round exactly as you would expect a single stack carry gun to handle it. I was pleasantly surprised at how accurate the gun was. We initially shot at 5, 7, and 10 yards on paper, and then backed up to 25, 35, and 50 yards with a steel silhouette. Being a smaller carry gun, I was not expecting the gun to be very accurate; however, it performed far better at distance than I had anticipated. After shooting the firearm for accuracy, we went to 10 yards and drew the gun several times from concealment. Bob’s Holsters provided us with a nice IWB adjustable retention holster for the Sig P365 which we currently have in stock. We spent 10-15 minutes drawing and shooting at steel and did not notice anything uncomfortable or odd about drawing the gun. The Sig Sauer P365 seems to be most similar in quality and size to the Glock 43, so we put them side by side to compare. As you can see in the pictures below, both guns are basically the same thickness. As far as overall size, the 365 is slightly smaller than the 43. Here is a chart of the side by side measurements on the two pistols. Again, the most impressive thing about this gun is that its smaller than most guns in it’s category and it has a higher magazine capacity. In addition to comparing the Glock 43, here are some pictures of it side by side with a few other guns. There are really only three negative things that stuck out to me about this pistol. The first is the ability to drop the magazine and perform a mag change. In order to effectively drop the magazine out of the gun, I had to completely change my grip on the firearm. Because of the way the grip is angled, the bottom part of the palm of my hand was interfering with the bottom of the mag, and not allowing it to drop. The second problem I encountered was when the mag is fully loaded with 10 rounds; you have to put an abnormal amount of force into seating the mag. This problem could very well work itself out over time as the spring tension loosens. The final problem we found was something I did not note at first; however, at a later date another employee shot the gun and pointed out that the bottom of the rear of the gun dug into his palm and made it uncomfortable to shoot. To me, this is not a huge downfall because the point of the P365 was not to make it very comfortable in the hand, the point was to put 10-12 rounds in as small of a gun as possible. I fully realize these three problems are minuscule, but no gun is perfect, and even the smallest kinks need to be pointed out. Without a doubt Sig Sauer has done something special with this pistol. It is one of the smallest 9mm carry guns available, has a 10-12 round capacity, night sights, and a great trigger. It goes without saying that this gun is going to do very well. We will have a display model at the shop for the next few months so stop by to see what all the hype is about. The P365 will sell for somewhere in the neighborhood of $530. You can put your name on our waiting list for these by emailing us with your name and phone number to info@carolinagunrunners.com or give us a call (919) 803-4605.